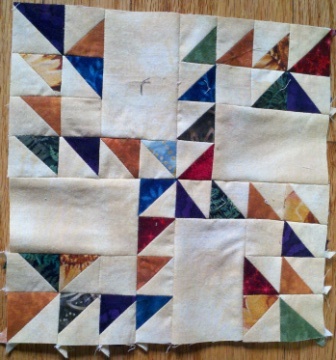 Quilting & learning to Blog all at the same time. I’m linking up with Amanda at Fabric Engineer for a Link Party on July 15th about our oldest fabric. Here’s the link…. The oldest fabric I own is extremely boring. 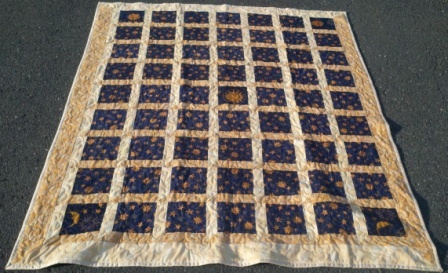 I bought it in 1992, and its purpose was for a quilt for my brother for his 18th birthday. 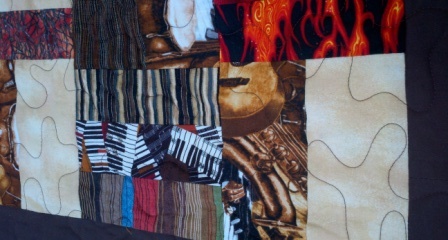 The fabric was incorporated into the quilt, but I also bought enough because I wanted this fabric to be the backing. I finally pulled the quilt top out in 2009 (when my brother was 32), and finished the borders, and was too lazy to create the quilt backing, so I bought a sheet and called it a day. At the same time, I realized my brother had changed tremendously since he was 18. 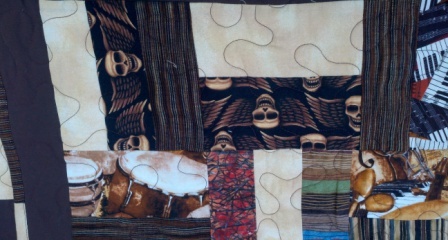 So in 2009, I created another quilt for him, one I felt was more “him”. 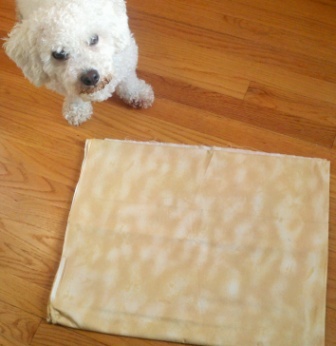 It just so happens I was able to incorporate this fabric into his “new” quilt. Yet, that fabric keeps hanging in there…I am currently doing a quilt-block-a-day calender, and have incorporated the fabric, yet again, into a quilt block. I actually really like this block, and I think I have plenty of my old fabric to make a quilt, if not, I can buy it at the store, because I just saw it the other day at the quilt shop! Thanks to Amanda for letting me share. 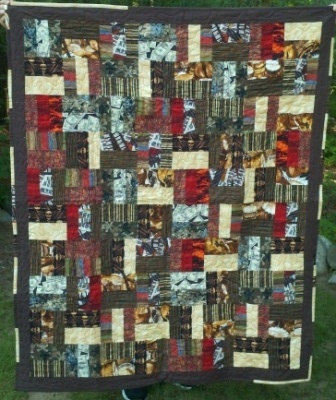 Looking forward to seeing other “old fabrics” and the next Link Party! Thanks again for joining the linky party! It’s so interesting how your fabric goes from one project to another. Does your dog think its boring too? Pattern: Boxtrot 2: Bingo, bt Creative Sewlutions Made by: Me Quilted by: http://www.fabricengineer.com Made this quilt for my Mom, She picked out all the fabric and the placement of the blocks.